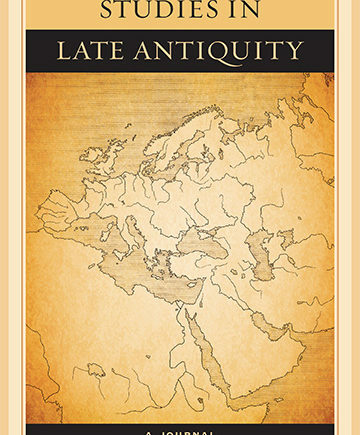 (UC Press): University of California Press is launching a new journal, Studies in Late Antiquity. We are particularly interested in publishing interdisciplinary, methodologically innovative, or comparative work engaging the Mediterranean with other parts of the late ancient world. All contributions will be double-blind peer-reviewed, and our format will be entirely online—which will allow us to include a wide range of media, from high density photography to GIS to video. We plan a formal launch at this year’s SBL meeting in San Antonio, and are now commissioning articles to fill the quarterly issues for 2017 and 2018. The journal is scheduled to launch in February of 2017. Click here to register for updates on the SLA launch, inaugural issue, free sample content, and more. Submit your papers to SLA. See the attached press release or visit sla.ucpress.edu for more information. Recommend SLA to your institution. Give this Library Recommendation Form to your librarian to request that your library pre-order a subscription.